I rather liked this soft, romantic book. Its main focus is Esmerine's search for her sister in the world on the land. But in the process she grows up, matures, find romance and finds herself. I really liked the aspect of the romance between a siren and a winged boy. How she learned to trust him to carry her while he flew, how they both had to compromise in order to fit into each other's lives and worlds. They are a bit of star-crossed lovers, too, in the way of the saying "a bird and a fish can't fall in love because where will they live?" The depth of the story is about accepting people who are different from ourselves, and I found that a very important message to pass to young readers. The truth is, this book is in my opinion targeted at a younger audience, because it was very fluffy and a bit simplistic in its writing style. However, it was an enjoyable read and I look forward to bying it, because I read it via the NetGalley. This sounds like such a sweet and romantic story. 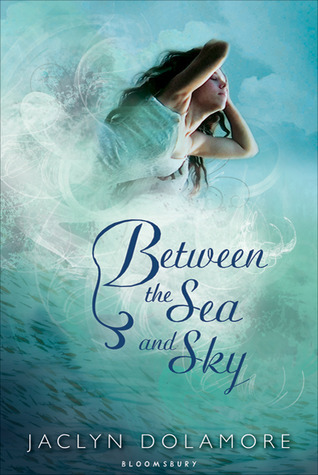 I'm starting to fall in love with mermaid books, so I'm going to check this one out next. Great review!